Our Luxurious mobile-tented camps on exclusive sites, place you in the heart of Nature in Greatest comfort, Safety, Security and Serenity. your farewells to the Delta. Transfer out of the Delta to Jack’s Camp. 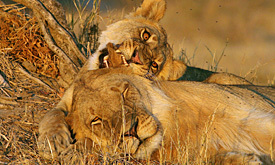 the family safari stores form a striking contrast with the rugged wilderness viewed from the comfort of one’s own veranda. were formed. 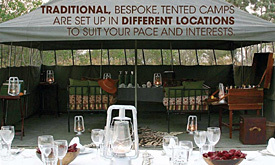 Return to camp for dinner in the elegant mess tent, a designated national museum of Botswana. 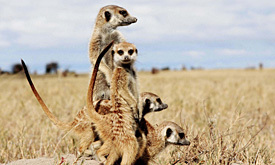 Set off in the morning to visit some of the Kalahari’s most fascinating inhabitants, the meerkats. As a meerkat’s wake up time is weather dependent, breakfast might be enjoyed in camp on cooler and rainy days, or as a picnic on warmer, sunnier days. 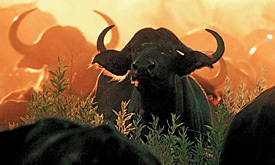 Due to an ongoing habituation programme, it’s possible for Guests to get up close and personal with these captivating creatures. 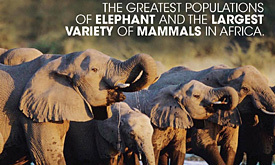 game experiences you will encounter in Botswana. 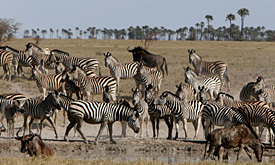 Leave the meerkats as they continue with their eternal foraging, to visit a remote cattle- post. 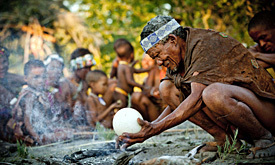 Here you will learn about the traditional culture of the Batswana people. 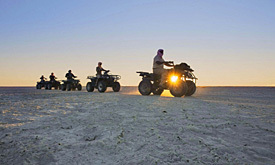 you will be given a brief safety talk before mounting your trusty quad bike to head off across the pans. Watch the sun set and the stars rise. This is one of the only places in the world where the silence is so complete you can hear the blood circulating through your ears. 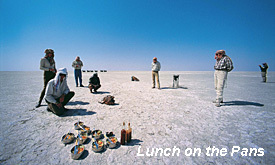 There is not one visual landmark to be seen and one swiftly loses one’s sense of perspective – 16,000 square kilometres of baking soda void, are inhabited only by you and a few gazillion invisible brine shrimp! the pan surface and learn of the origins of early man. Return to camp for a huge brunch. 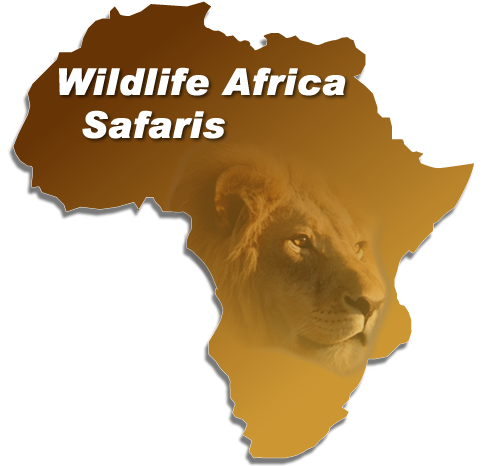 nocturnal desert inhabitants such as aardvark, bat eared foxes, aardwolves, porcupine, honey badgers and perhaps even a black maned Kalahari Lion. 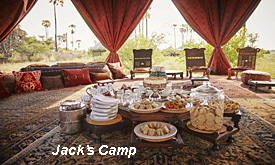 you bid farewell to Jack’s Camp in preparation for your air transfer to Maun Airport for your onward journey.